Fire up the grill for one last summer BBQ before school, work and the weather take over in preparation for the Fall. 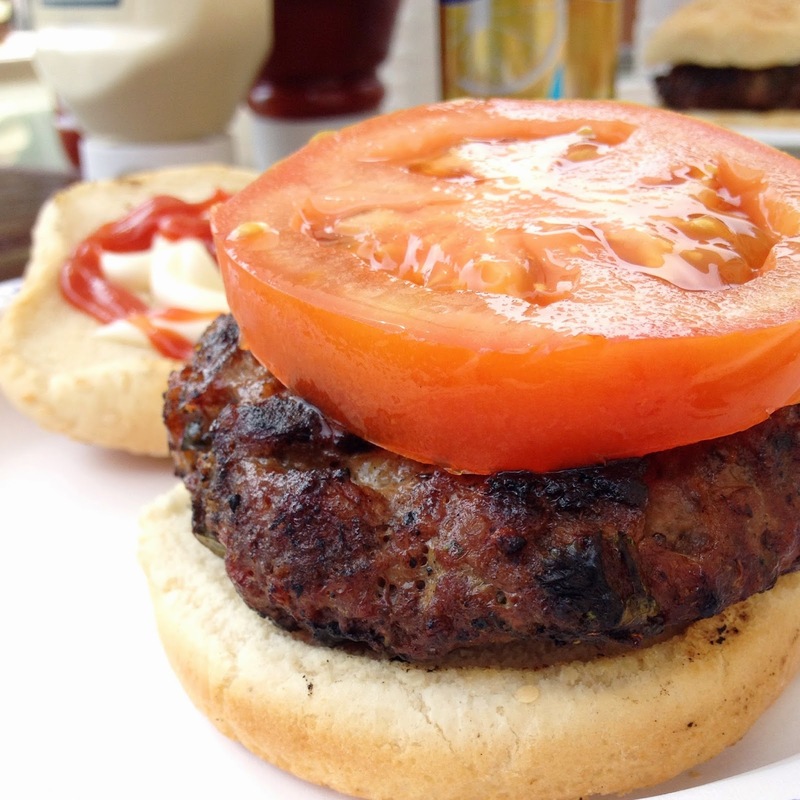 My family and I personally love homemade hamburgers so this recipe has been changing each summer since I can remember. 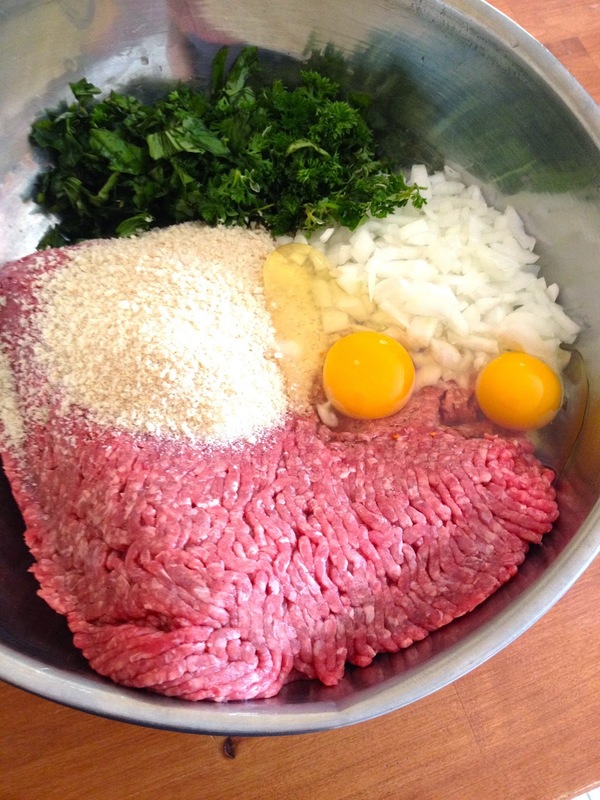 Here's a step-by-step guide to my family's hamburgers! 1. 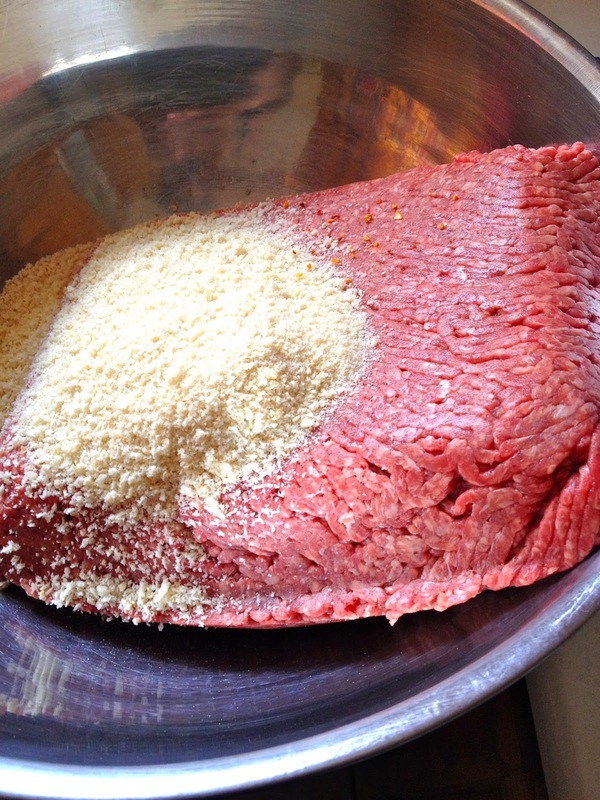 Start with 1 package of lean ground beef and add 1 cup of breadcrumbs. We use a plain breadcrumb mix which is why we can add so much into the mixture. If you're using a seasoned one such as Italian breadcrumbs, be conscious of the salt intake and add less. 2. 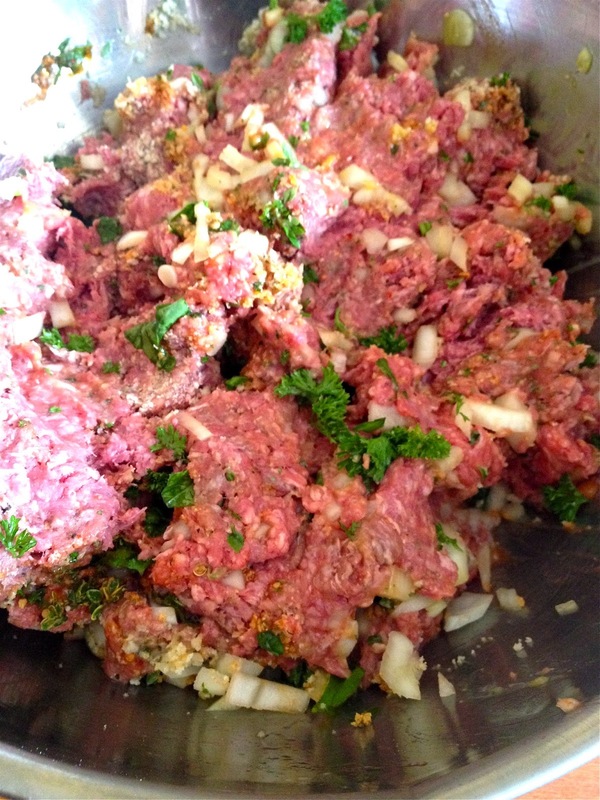 Add 1 cup of washed and chopped parsley, 1 chopped white onion, and 2 eggs. 3. 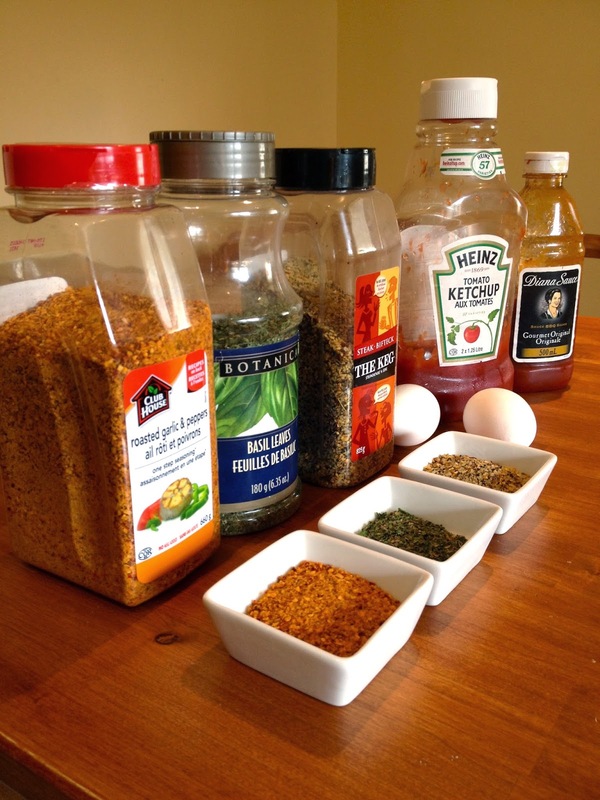 Add all your spices and sauces. We put about 3 tsp of roasted garlic & pepper, 3 tsp of basil leaves, 2 tsp of steak spices. Then we added 3 tbsp of ketchup, and 3 tbsp of BBQ sauce. 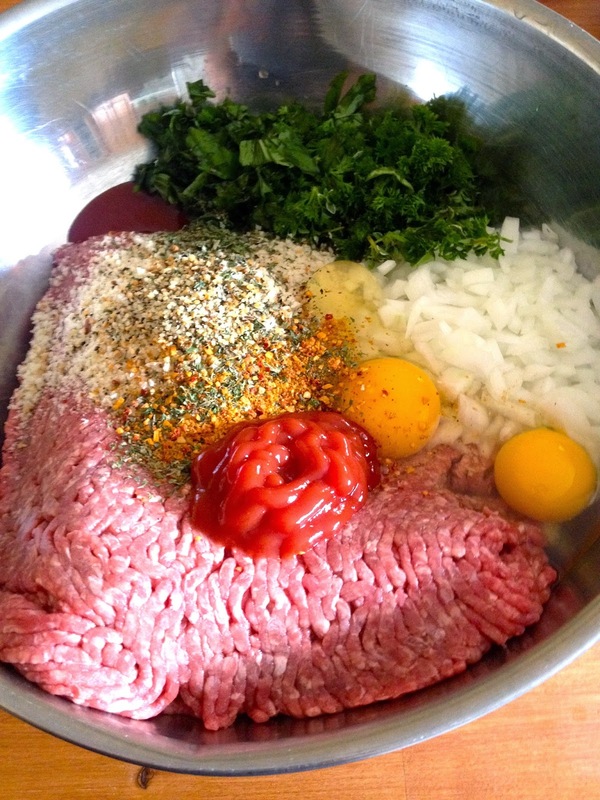 Can always add more/less depending on the package of ground beef. 4. Wash hands then mix all ingredients together. 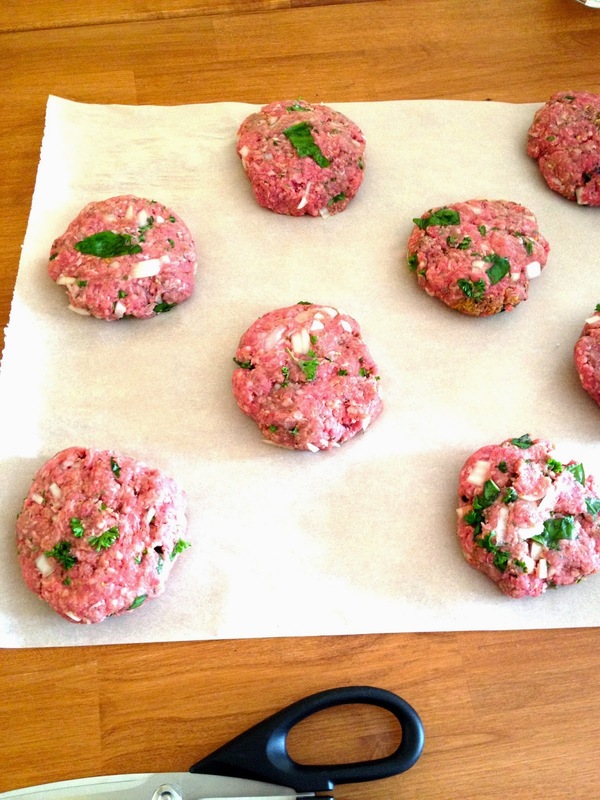 Form 4oz patties using a scale and set them on Parchment paper. Put 2 patties per row, equally spaced apart. 5. Cut the Parchment paper into rows and flip the burgers so that they are each wrapped. Cut each row in half. This will ensure that when you are freezing them, they will be much easier to unpack, defrost and cook individually. (Meal prep heaven!) Do this with about half of the burgers and save the other half to cook on the grill for a nice end-of-summer BBQ! As you can see I'm not ready to give these up as I have frozen a bunch to make in a pan during the Fall. Even though burgers aren't the healthiest of meals, it's nice to take a break from lean chicken or turkey once in a while. If you need a low-carb alternative, skip the bun, put the burger in lettuce and consider this yummy Summer Salad from a previous post as a side dish! Enjoy and happy Labour Day! P.S. : Click the green Print/PDF icon below to save this recipe for later or to bring it with you to the kitchen!